Tonight is New Year’s Eve! 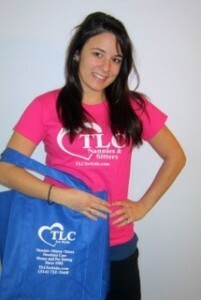 TLC for Kids babysitters will be busy tonight making New Year’s Eve fun for the little ones at home. Here are a few places to check that will help fill the TLC goody bag for tonight’s fun! 1. Take a few minutes to visit the TLC Caregivers page on Facebook. Nannies have been sharing fun craft ideas. 2. The TLC Pinterest Page has a New Year’s board with some cute activities. 3. Talk to the kids about resolutions and print out these New Year’s Resolution sheets. Happy New Year everyone. Be safe tonight! So you’ve gone through the TLC for Kids application process, and you’re moving on to interviewing with families! Interviews can be a scary part of the process, so we’ve gathered a few tips on what to bring and how best to represent yourself! Review any information you have about the family or the job before the interview, so it is fresh in your mind and you can show that you did your homework. Also look back over your resume and application, and brainstorm your answers to common or expected questions about your past experience and your nannying style. Be on time, dress professionally, shake hands, make eye contact, and don’t forget to smile! Nannying is about connecting with the parents as well as the kids. If you’re interviewing in the home, ask to meet the children and spend a few minutes getting to know them. This will show the family that you are ready and excited to get started. Parents will like to see that you thought about the job enough to have your own questions and concerns. Don’t be too shy to ask about specific needs the kids have, any additional responsibilities outside of childcare, their typical daily schedule, or any other things you’re curious about. Parents lead busy, hectic lives! A written or emailed thank-you note can go a long way – especially if it emphasizes a couple of things that got you excited and made you realize how perfect this job will be for you. New Job for the New Year! TLC for Kids is looking to fill a lot of jobs for the new year! We are looking for applicants who have previous nanny or daycare experience. All applicants must have three non-family member childcare references and an insured vehicle. Some positions require driving the children while on the job. Our nanny positions offer a great salary and benefits like paid vacation, holidays and sick days. Full time nanny positions pay on average between $550-$650/wk and part time positions pay between $12-$15/hr. Take a look at the brief description below of the current jobs and apply online today! Weldon Springs: M-F 2-7 with 2 kids, household duties when ex has custody. Ladue: M-F before and after-school with 2 kids. Frontenac: 30 hrs. per week over 7 days with 2 toddlers and a baby on the way. St. Charles: M-F 8a-4:30p with 2 kids and twins on the way! Miami, FL: Live in nanny/housekeeping job in Pinecrest with a toddler and a baby on the way. Nanny works 5 days a week. Nanny has separate accommodations. St. Louis, Mo: Live-in nanny job in Downtown St. Louis. Nanny will always have Sundays and Mondays off. Work Tuesday-Friday and two Saturdays a month with 3 kids. Nanny has own loft in building.